JASON Learning’s five-day training program introduces teachers to leading ideas, innovations, technologies and best practices in STEM education, and engages them in hands-on activities that put these concepts and information into practice. Through hands-on experience with the actual labs and activities, teachers are given the opportunity to deepen their own science content and comfort level and empowered to bring the activities back into their classrooms. Unlike traditional lecture-based courses, the pedagogy and best practices are woven throughout the hands-on experiences to provide participants with concrete examples, practice, skill sets and tangible messaging. Participants will experience a wide array of labs, activities, and digital simulations from JASON Learning’s award-winning curricula. Trainers work side-by-side participants throughout this entire course for high level interaction and guidance of practices. Jason Leaning is in China! 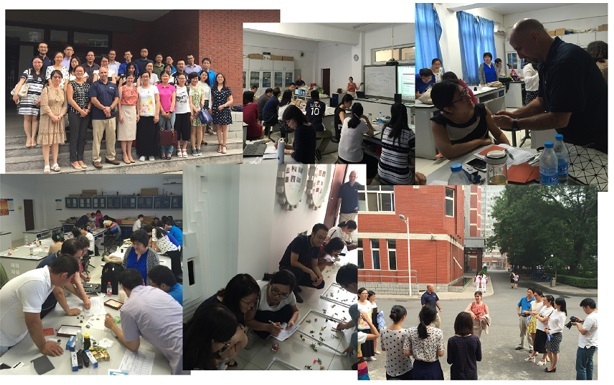 In July of 2016, arranged by AASA, two experts from Jason Learning brought advanced STEM education practices to Jiangsu Province of China. Visit pages below to learn more about AASA Cultural Exchange Program.